Joey <3. . Wallpaper and background images in the Joey Tribbiani club tagged: joey tribbiani friends. 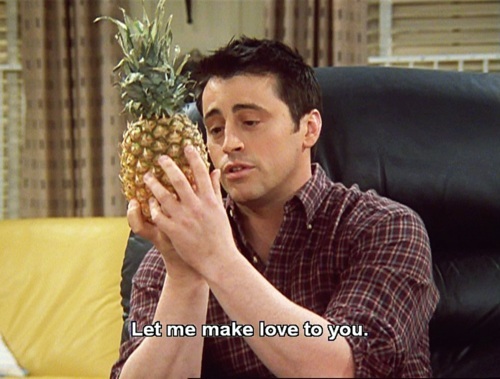 This Joey Tribbiani fan art contains اناناس, ananas, انناس, and انانہس. There might also be agave میں tequilana, اگیو ٹیقولان, maguey, agave میں atrovirens, ماگیی, اگیو اٹروورانس, امریکی agave میں, agave میں امریکانا, امریکی اگیو, and اگیو americana.